This just isn’t going to work. Never in a million years did I think I’d be here, in this position. As if splitting up – the heartache, the anger, the sadness, the logistics, the wrapping up of life as we knew it, the moving on and building new ones – as if all that wasn’t hard enough. 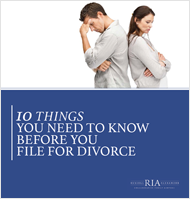 As if I don’t already have more than enough on my plate as it is — and now I have to deal with lawyer, with the legal system, with the finality, the inevitable steps of ending a marriage and changing a family. With dividing up our lives, our children’s lives, just figuring out what life looks like now that nothing is the same. Maybe we can be civil about this. Just work things out. Then again, maybe we can’t. Our family. Our home. Our income. Our stuff. Our past and our future. I hate that in all of this I have to be practical. Will I have enough money – for what I need, for what I want? How much is divorce going to cost me, anyway? Will I have to choose between paying my legal bills and affording the things the kids and I need and want? The kids. They didn’t ask for any of this to happen. How on earth can I go over the failure of my marriage in excruciating detail with a lawyer, a stranger I’ve only just met? Will it wind up being broadcast in court, for all to hear? It’s humiliating. But I have to get through it. Because this marriage just isn’t going to work. I wish I had someone to walk with me through this. I don’t think I can do it alone. I don’t want to do it alone. 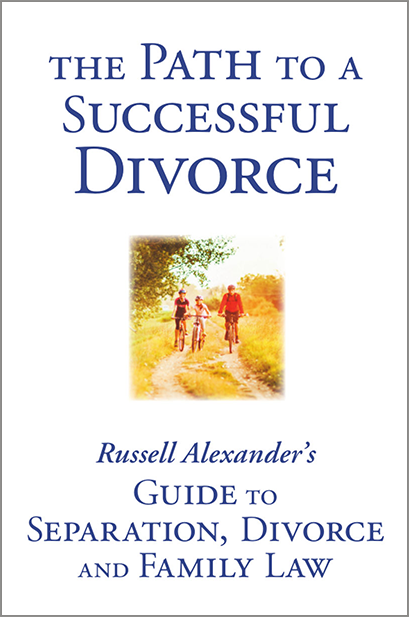 At Russell Alexander Family Lawyers, we understand. You never wanted to be here, never asked to be here. Choosing a lawyer is not like choosing a bank or a plumber or a hairdresser. It’s not something you ever thought you’d need to do. It’s not something you even want to do. You’re here because you’re doing what you need to do to take care of yourself and your family. And we’re here to help you do that. We’re here to make the bad and the ugly a little less bad and ugly, so you can get to the good and the better. We’ll walk you through all your options (you always have options) and take care of the legal stuff so that you can focus on just getting through this. We’re your fiercest advocates. A smiling face on a lousy day. A reassuring voice in a low moment. We’ve got your back. You don’t have to take our word for it — see what our past clients have said about us. If you’d like to talk, get in touch with us. The sooner we meet, the sooner we can start moving forward. This is going to work. And you don’t have to do any of it alone. We’ll do it together.